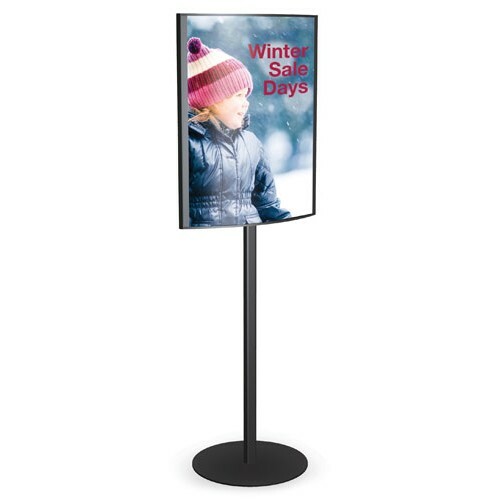 Classic pedestal style sign holder with a modern curved face. 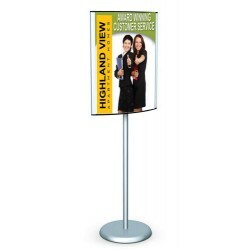 The sign holder has a stylish two sided curved design. 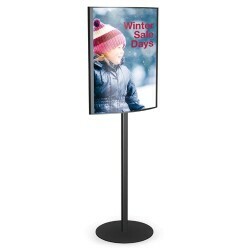 The holder has a 17" round base and a total height of 66 inches. 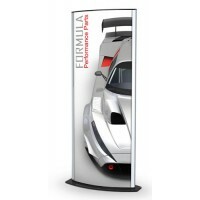 The unit graphics are 22" x 28" in size. You can have two graphics per unit. Choose from matte black or satin silver finish. Please note that the price above is for the sign holder only.